Fives and its Cryogenics | Energy business line provides a wide range of innovative equipment including brazed heat exchangers, cold boxes, cores in drums, piston pumps and centrifugal pumps. The heat exchangers and cryogenic pumps businesses were developed by Trane and Cryomec companies respectively in 1959 and 1977. The Fives group acquired both companies in the late 1990's. The commercial brands changed from Trane, Nordon Cryogenie and Cryomec to Fives Cryogenie in 2007 and recently to Fives in 2014. 1959: Heat exchanger design and production started with the creation of the Trane company in France (Golbey near Epinal) using Trane technology. 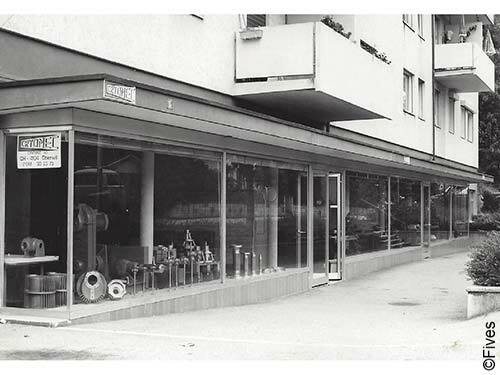 1977: Piston and centrifugal pumps design and production started with the creation of the Cryomec AG company in Switzerland. 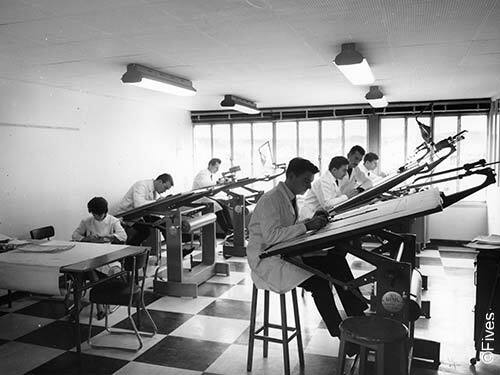 At its very beginning the company was located in Oberwil and then moved to Allschwil (near Basel) in 1980. 1986: Trane sold both its plants: its American plant, renamed ALTEC, was taken over by the Chart group, whereas the French plant, acquired by Nordon, a subsidiary of the Fives group, became Nordon Cryogenie. 1998: Nordon Cryogenie aquired Cryomec. Cryomec entered the Fives group. 2007-2008: Nordon Cryogenie and Cryomec combined their fields of expertise under a single brand: Fives Cryogenie. Both companies Nordon Cryogenie and Cryomec adopted the visual identity of the Fives group and were re-named Fives Cryo and Fives Cryomec AG, respectively. 2009: Creation of a Chinese subsidiary and production plant, specialized in brazed heat exchangers and cold boxes manufacturing. The company, named Fives Cryo Suzhou, provides equipment under the brand Fives Cryogenie. 2014: The brand Fives Cryogenie became Fives. Heat exchangers and cryogenic pumps are promoted under the brand Fives by the Cryogenics | Energy business line.